We at OBR ADV Gear are not 100% satisfied unless you are 100% satisfied. 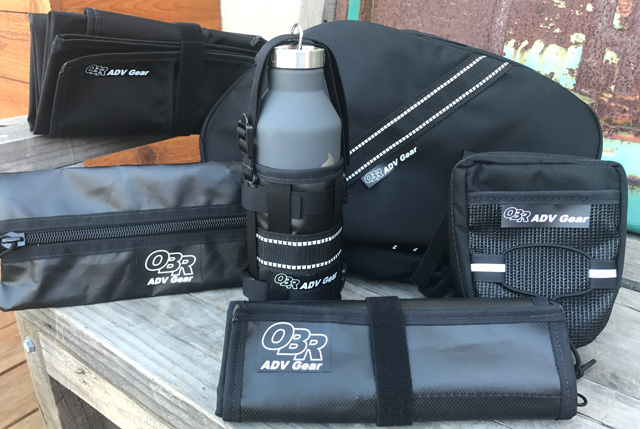 If for any reason upon receipt of your OBR ADV Gear product you’re not fully satisfied, OBR ADV Gear will offer a full refund upon the return of the item in a new unused condition (Shipping excluded). If we are at fault and the reason for the return, we will be glad to cover the shipping. OBR ADV Gear offers a 3 year (from the date of purchase) Materials and Workmanship Warranty. This warranty will cover all materials, seams, zippers, straps, and original hardware from any defects caused by the manufacture of the product. Warranty Exclusions – Normal Wear and Tear, Excessive UV Damage causing fading and/or deterioration, abnormal use and/or neglect, damage caused by the packing of non-ordinary items, any alterations. Proof of purchase will be required to facilitate a warranty repair/replacement. Your original invoice is your proof of purchase and should be retained in case of a warranty request. We understand that all adventures can also be subject to mishap. With that we at OBR ADV Gear offer a crash replacement discount option for all products sold by OBR ADV Gear. Our modular system allows us to repair/replace individual components as needed. Should one of these mishaps occur, contact store@obradvgear.com including “crash replacement” in the subject line. Please include in your email a full description of the damage that occurred along with pictures, and your personal information. OBR ADV Gear will respond with a quote for the replacement. A payment invoice will be sent upon confirmation/acceptance of the quote. Replacement piece will be shipped upon payment confirmation and return of the damaged item.